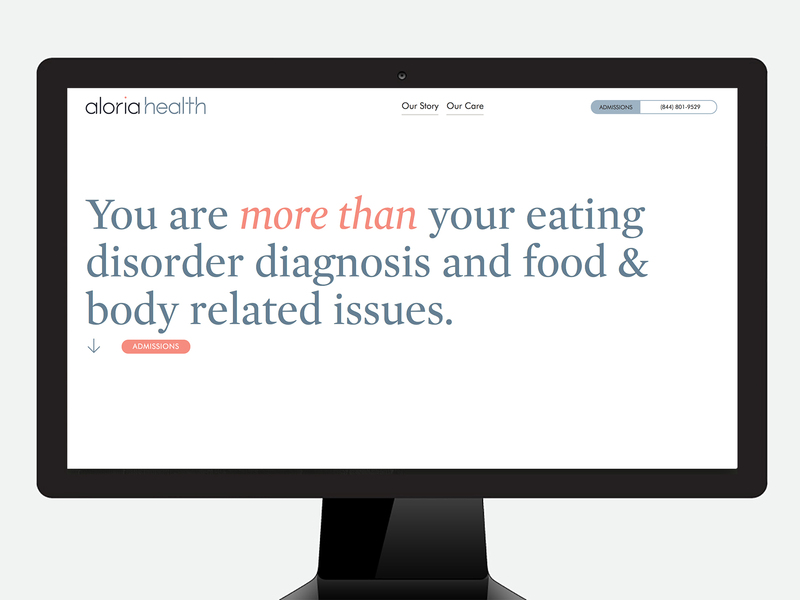 Milwaukee based Aloria Health provides medical support to people affected by eating disorder diagnoses. 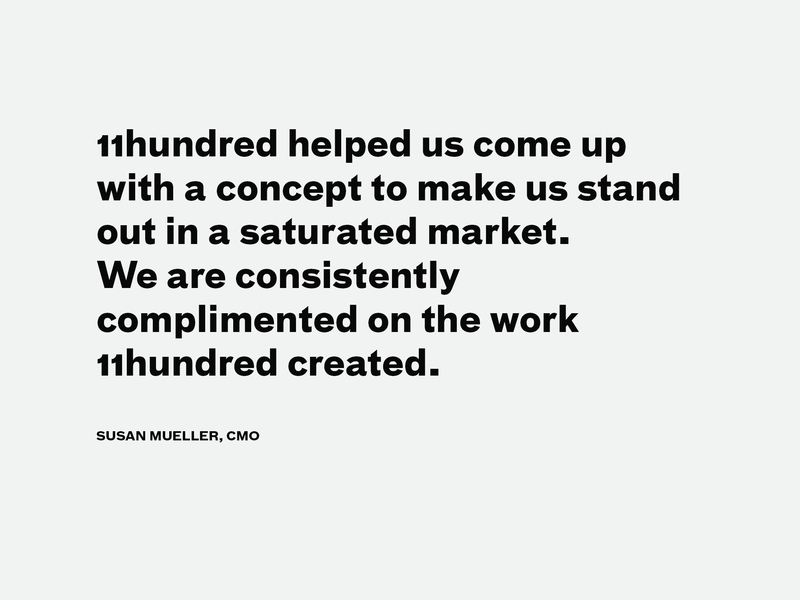 Working together, we created the brand identity & execution. 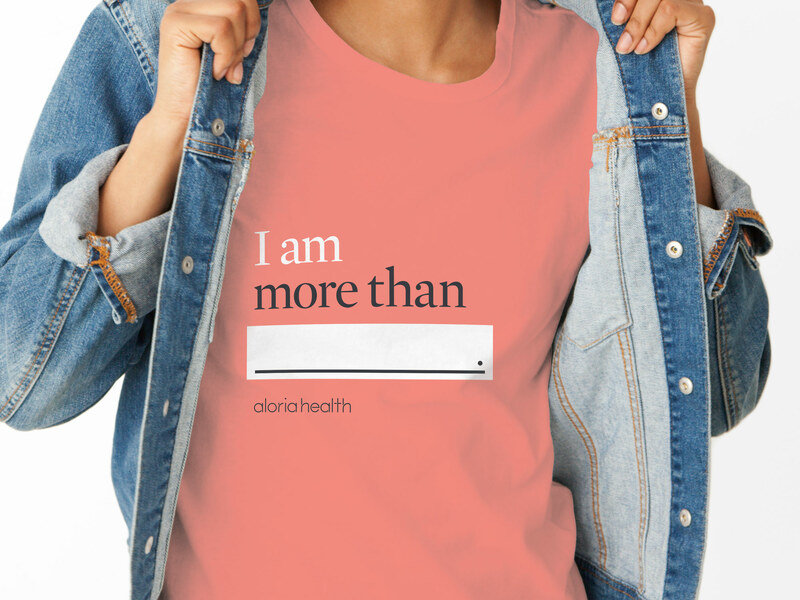 Made up of a diverse group of industry veterans, the Aloria Health leadership wanted the brand to stand out from the competitors. 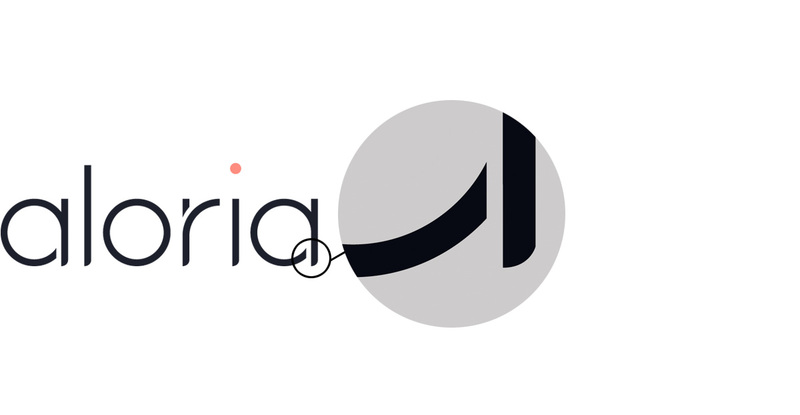 Based on a simple geometric typeface– Futura Light, the logotype is both approachable and memorable. While designing the mark we recognized that there was an opportunity to reinforce the idea of stability through repetition. 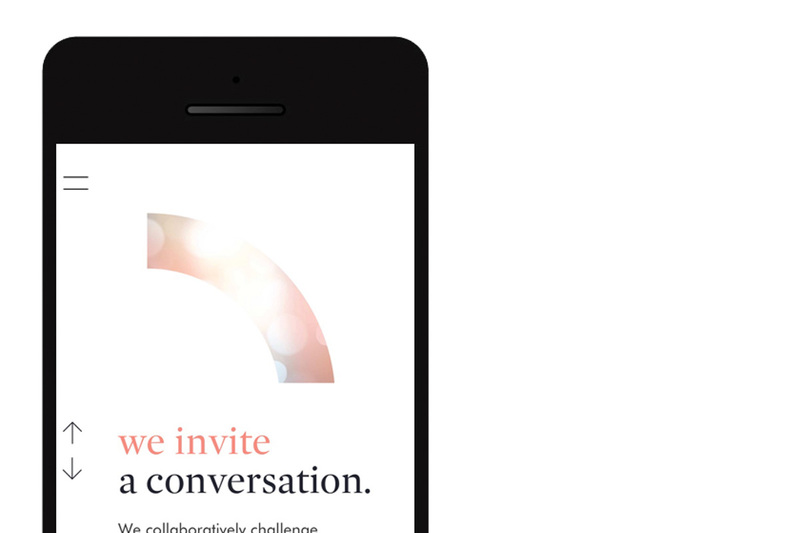 The cutouts in the letterforms add a natural element to the logotype, without becoming too heavy handed. 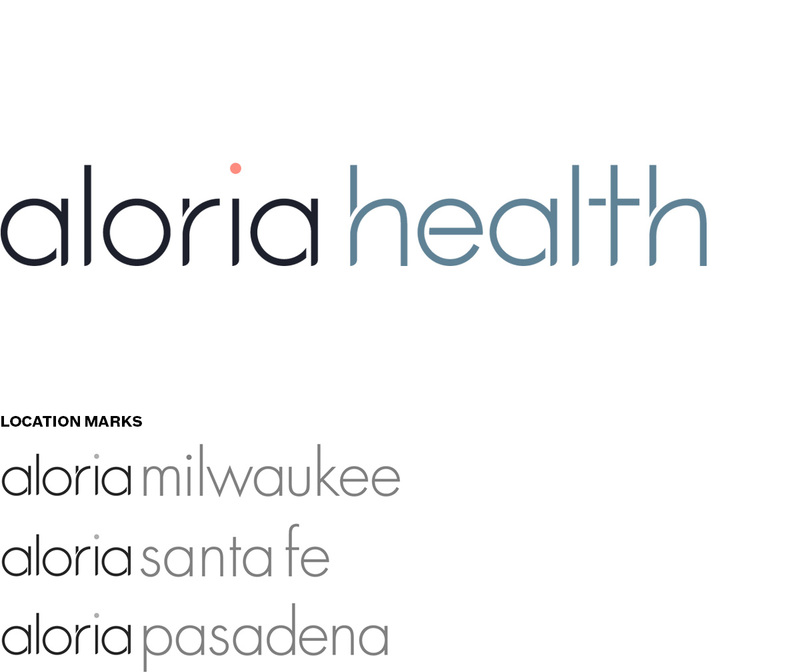 When looking at what makes up the letterforms of the name “Aloria” we realize there are two shapes repeated throughout- a quarter circle and line. 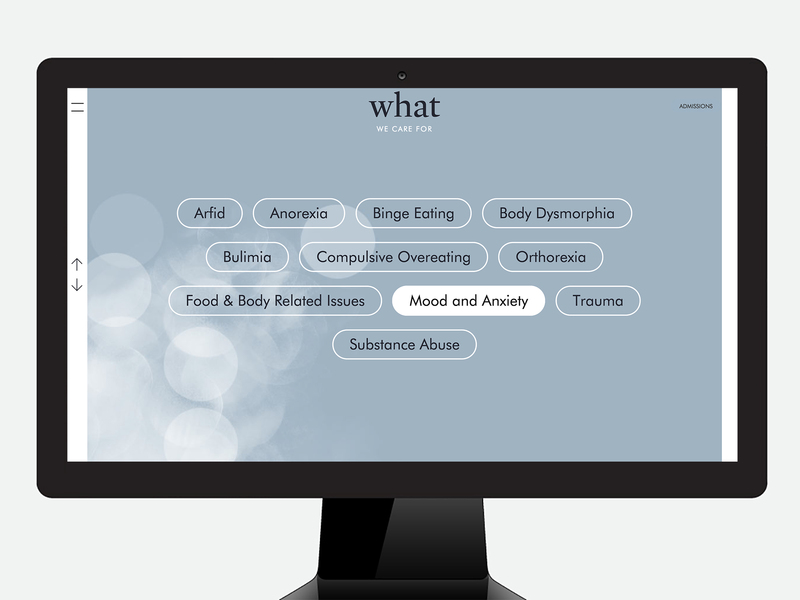 These can then be used as patterns, or large graphical elements in marketing communications. 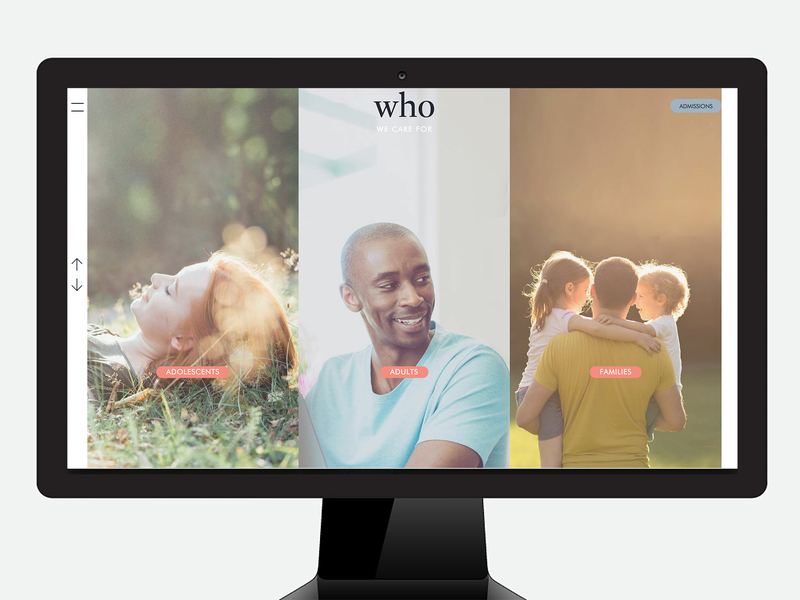 Armed with a logo and brand elements, we then created a set of brand and voice guidelines to help the internal marketing team, and outside partners create memorable marketing tools that stay on brand.